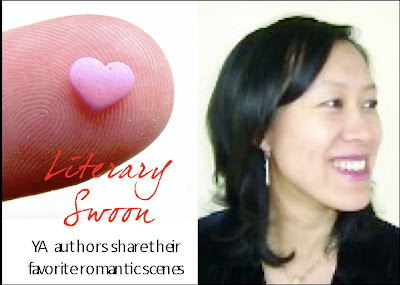 We’re continuing our countdown to Valentine’s Day with some of our favorite YA authors! 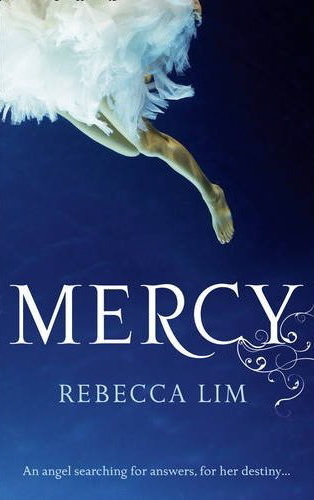 Rebecca Lim’s Mercy is one of the most interesting and mature YA angel books available right now, and I really enjoyed its blend of suspense and supernatural. The hint of a blossoming romance is also very promising, so I was very pleased when Rebecca agreed to share her thoughts on a favorite romantic book as part of our Literary Swoon series. If you enjoy Rebecca’s choice, by the way, you should check out our Bookish Valentine’s Day Gift Guide. It happens to feature an item with a quote from this very memorable moment! Persuasion (1818) by Jane Austen is a sublime romantic novel and something I return to often. It has wry humour, wit, restraint and elegance, but beneath it all, such a depth of regret, yearning and piercing insight. The heroine, Anne Elliot – younger daughter of a snobbish aristocrat – was persuaded by class considerations, just over eight years before the action of Persuasion begins, to break her engagement to a young, penniless but dashing sailor, Frederick Wentworth. Frederick later returns to England in search of a wife, but with new-found status as a wealthy Captain of the Royal Navy. Circumstances throw him and Anne back into each other’s orbit and they must navigate their lingering resentments and regrets, and the treacherous undercurrents of their social set, in order to re-unite. I can listen no longer in silence. I must speak to you by such means as are within my reach. You pierce my soul. I am half agony, half hope. Tell me not that I am too late, that such precious feelings are gone for ever. I offer myself to you again with a heart even more your own, than when you almost broke it eight years and a half ago. Dare not say that man forgets sooner than woman, that his love has an earlier death. I have loved none but you. Unjust I may have been, weak and resentful I have been, but never inconstant. You alone have brought me to Bath. For you alone I think and plan … I must go, uncertain of my fate … A word, a look will be enough to decide whether I enter your father’s house this evening or never. It may not seem like much to you, but that note always gets me right there. Rebecca Lim is a writer/illustrator based in Melbourne, Australia. She’s the author of fourteen books for children and young adults and her novels have been translated into German, French, Turkish and Portuguese. Her most recent novels, Mercy, Exile and Muse are available internationally via The Book Depository. 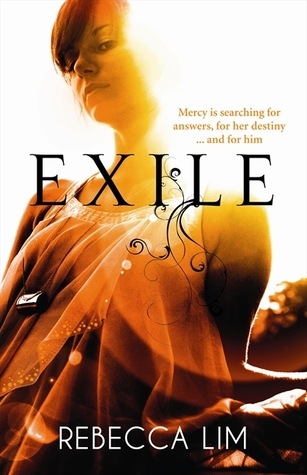 Exile will be available to U.S. audiences in April 2012 and the final instalment in the Mercy series, Fury, will also be published by HarperCollins Publishers this year for international audiences. Oooh I loved this scene in Persuasion. There is such a build up to it and you think FINALLY!! I just got Mercy in the mail last week,(part of my Aussie reading challenge). Knowing this is one of Rebecca Lim’s favorite scenes lets me know she has great taste! Oh, I haven’t read Persuasion but I love the part that Rebecca picked. I read Pride and Prejudice a long time ago so I think it’s time for a re-read of that, and Austen’s Emma is awesome as well. I haven’t read Persuasion but I gotta say, Jane Austen has some very romantic parts in her books! Mercy sounds amazing too! I think I have it on my wishlist for the library. I didn’t know this author. I keep in mind these books! Oh my, Persuasion is my favorite Austen novel. I love Anne and Captain Wentworth. That letter made me swoon. Seriously! Such a fitting pick. I need to re-read Persuasion. I love classics and I read a lot of them but I’m ashamed to say that I’ve yet to read Jane Austen books. The letter is so ROMANTIC. I’m seriously going to have to read Persuasion just so I can meet Frederick. I haven’t read Lim’s books before – thanks for the intro to them, they sound like something I would love! As soon as I saw the book was Persuasion, I guessed it was the letter scene because it’s too, too perfect. Second, are you telling me that I have to wait until 2013 for the second book? After falling for Mercy in 2011, I hardly want to wait that long! I’m afraid we will have to wait until 2013 for the second book, Bookworm. :( Rebecca confirmed it with Hyperion just a couple of weeks ago, I’m not sure why they are leaving such a long gap between books 1 and 2…especially when there are four books total! Okay, Rebecca just posted on our Facebook wall to say that Exile will be out in hardback for the U.S. THIS April 2012. Not sure if this is new info or whether the first email I got was a typo, but either way–good news! Just a couple more months to wait, yay. i’m not that familiar with persuasion, i should read it! Great answer today! I haven’t read Rebecca’s books yet but they are on my to-read list! Oh my goodness. Seriously. *swoon*. SO romantic. I’m still reading through Austen (SLOOOOOOWWWWLLLY), and haven’t yet read Persuasion. But oh my goodness. SO. ROMANTIC. Oh, love!!! 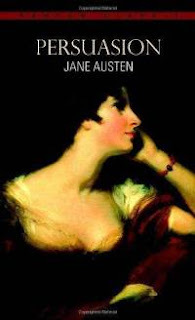 Jane Austen does it like nobody else :) Great pick! Nice post! I haven’t Persuasion, but that note is lovely. I haven’t read Persuasion, but it sounds like a wonderful book. What a great excerpt. I too have not read Persuasion. I need to get it done. I have been waiting for this series to come to the U.S. Why do Aussie books seem to take forever to get to the U.S.? I’m disappointed that it’s taking so long to get the Mercy sequels here too, Heidi. With all the interest in Aussie YA these days, I’m surprised we haven’t seen more titles getting picked up or the foreign rights negotiated a little bit more quickly. We’re dying over here! I need to read Persuasion. By the way, I read Mercy and it was really really good. I adore Jane Austen, but sadly, I’ve never read Persuasion. Guess it’s about time I rectify that. Especially after reading that love note! I have only read one Austen book, and that clearly needs to change. I think I might die of happiness if I were ever on the receiving end of a letter like that! As much as I adore my husband, he’s not so much with the romantic declarations of love O_o. Loving these posts! Ah, if only more men wrote letters like this! Nothing moves a book-lover as much as a love letter. And thanks, glad you’re enjoying the series, Jenny! I think I need to read more classics… I’m ashamed I didn’t read this one. Thank you for sharing with us! I get chills reading that! Wow, what a great excerpt! I (embarrassingly) have never read Persuasion (I know, I know-that’s terrible)…but if this is any indication of what it would be like then I need to get a copy ASAP. I love this Literary Swoon series you’re doing! I love that excerpt too–and I love what Rebecca wrote about it. :) Thanks so much, Em, glad you’re enjoying the series! Great post! I’m not an Austen fan, but Mercy looks really good. I really enjoyed Mercy, Mrs. Q–hope you get a chance to try it out soon!